You may think you have what it takes to get into some of the U.S.’s most prestigious universities. But we're not talking about Ivy League schools. 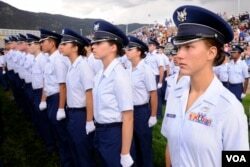 It might be easier to get into Cornell University, Brown University or Dartmouth College than some of the U.S. military academies — a handful of schools that are steeply competitive. 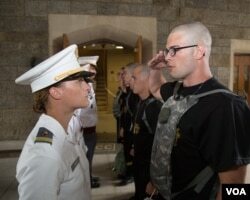 And these schools are not only tuition-free — the cost of educating a student at the U.S. Military Academy at West Point, New York, is estimated at $56,000 — students are paid to go there. 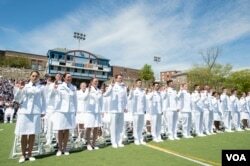 Potential international cadets must take the SAT standardized college admissions test and aim for above-average scores — around 1340 for West Point, 1400 for USNA, 1320 for USCGA, 1370 for USAFA and 1310 for USMMA, out of the highest score of 1600. When Saranjoe Sukcha began his academic career in 2015 at USCGA, there were only three other international students in his class. He was also the fifth Malaysian to attend USCGA — the fourth graduated in 1996. “As an officer cadet in the Royal Malaysian Navy, I was selected with about 19 other candidates to undergo a selection process in order to get a spot in” the Naval Academy at Annapolis, the Coast Guard Academy in Connecticut or the Australian Defense Force Academy, Sukcha said. “We've never had anyone in our family who was sent to other countries,” Sukcha said.